I’m sure you’ve seen all the adverts for coffee subscriptions in papers and online social media. A friend of mine showed me one and he was anxious for me to join so that he could get a free grinder. I was a £1 so I thought why not? 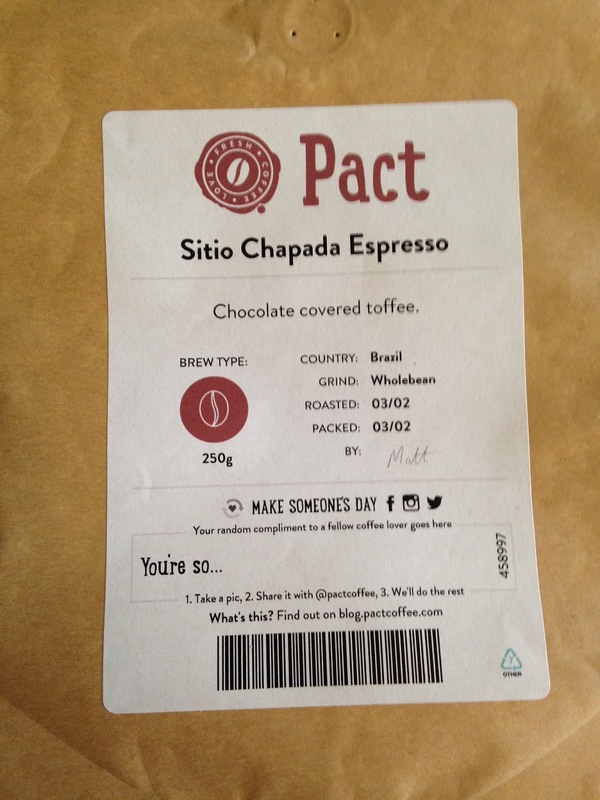 That was Pact Coffee, if you hadn’t already guessed and I to say I was quite sceptical. I mean they we’re boasting freshly roasted beans through the post and constantly cycling number of coffees. Signup was interesting and I began to realise that maybe there was more to it. For starters, my real concern was being signed up and having to pay every month for questionable coffee, but not only can you specify how frequent you want the beans, there is also a button to simply either delay the mail out or to end your account so it was a bit more reassuring. The other more reassuring element was that they try to pick coffee that you were prefer by asking your brewing method and simple likes. So, I did all that and waited for the delivery. It came quickly and I was impressed by the packaging because they’ve made 250g of beans fit in most, but specifically my, post box. No need to drag myself shamefully to the neighbours and trouble them to give me the parcel. That’s a big deal to be honest. It was rather nice too, made a good espresso and I found I myself enjoying it far more than I expected. Not bad for a pound at all, so I’ve actually carried on with Pact, despite me originally thinking I’d take the £1 coffee and leave. Pact has had a decent investment which has enabled them to promote widely and produce a quality product. They only buy small lots of beans and roast small amounts. This means that they constantly change what’s on offer and, as a subscriber, this good. To date, I’ve only had three packages from them as I’ve been working through several 1kg packs I was given a while ago. However, I imagine I’ll continue to order every so often. Each order is £6.95 which isn’t too bad given the postage costs for sending coffee and so far, so good.